Data is one of the most valuable parts of our computers or Laptop. Suppose, if you have an important presentation at your workplace or college and you don’t wish to bring your Laptop with you all the time. In such a case, you wish you could have a pocketable device so that you will be able to save all the PPT files onto your handy mobile device. To assist you, I have come up with a detailed tutorial that helps you in transferring all your data like songs, images, files, videos, etc from PC or Laptop to your iPhone. You can transfer data from PC to your iPhone with or without using iTunes. If you wish to transfer data from your PC to iPhone without using iTunes, there are some other ways for completing this task. There are many tools available online that helps you transfer your confidential data from PC to iPhone. In this article, I have explained both the methods, i.e., using iTunes and without using iTunes. Check out both the methods and follow any of them that best assists you to transfer files, songs, images, videos, etc from PC to iPhone. There are three methods for transferring data from a PC or Laptop to your iPhone. Data includes contacts, audio files, videos, photos, music, TV shows, Podcasts and other files can be transferred from PC to iPhone. One method is to transfer data from PC to iPhone using iTunes while the other method is to transfer data from PC to iPhone without using iTunes, instead you can transfer it using some tools. The final method is to transfer files from PC to iPhone over Wi-Fi. Here is the detailed step-by-step procedure for all the three methods so that you will be able to transfer all your files or data from PC to iPhone in a simple way. iTunes is one of the amazing and imperative apps for iOS devices which can be used to play, download and digital audio and video on PC, laptop or any other device. 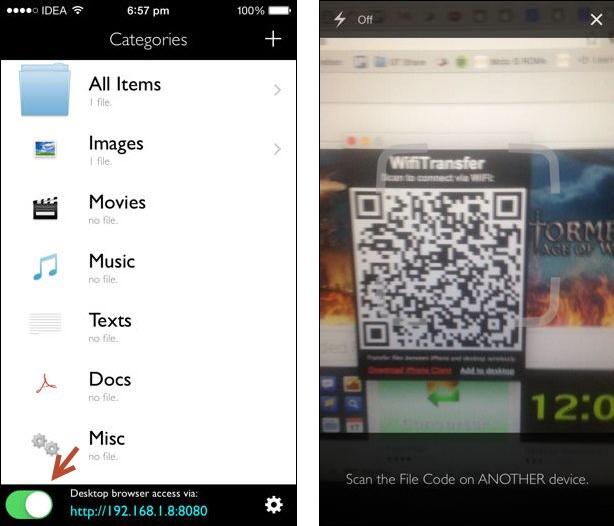 So, you can now use this incredible app to transfer your files from PC to iPhone. Transferring data from PC to iPhone with iTunes needs you to connect your iPhone to your PC via a cable. Check out the steps that help you in transferring data from a PC or Laptop to your iPhone. Step 1: Initially, connect your iPhone to your PC or Laptop via a USB cable. Step 2: Once you connect your iPhone to your computer, iTunes will be launched automatically. Step 3: Create a new folder on your PC so that the files which you want to transfer will be saved to that folder. 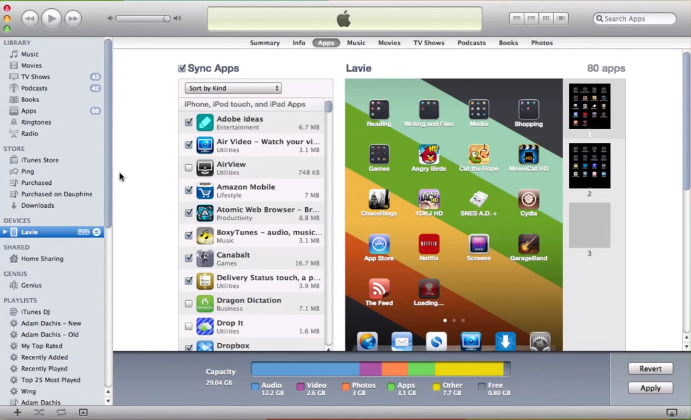 Step 5: Switch to the ‘Apps’ tab on the top of tool bar in the main panel of iTunes. Step 6: Just scroll down to the bottom where you can find a ‘File Transfer’ section with a huge list of apps. 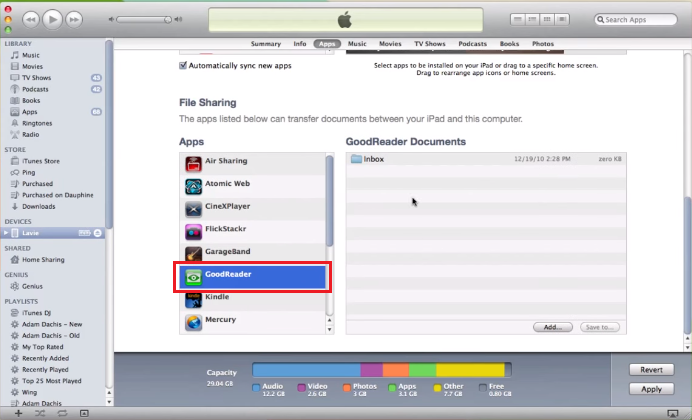 From that list of apps, you can select any app so that you can transfer a file to your iPhone. Step 7: As soon as you’ve chosen the file which you wish to transfer, it will start transferring onto your device. You’ll be able to view the progress at the top of the iTunes window. Step 8: Once the transfer is finished, you can disconnect and your file will be on your iPhone device. It will be saved in the folder which you’ve created before starting the transfer process. Step 9: This is the most straightforward method that works for every app that supports files. Transferring files from PC to iPhone over iTunes is a pretty simple method, but you might encounter some issues while using iTunes. iTunes does not enable users to take complete control of their iOS devices’ storage space. Sometimes, it may not transfer files from PC to iPhone. So, there is some other alternative for transferring files from PC to iPhone. Check out the other methods. Are you looking for the best alternative to iTunes for transferring all your data from PC to iPhone? If you wish to copy your desired apps, music, contacts, audio, video and other files to your iPhone, there are amazing tools that help you do so. iPhone Manage is one of the best tools that can be used to transfer files from PC to iPhone without any hassles. iPhone Manage is an amazing tool through which you can transfer your files from PC to iPhone. This tool lets you transfer various files that include music, photos, contacts, playlist, movies, TV shows and Podcasts and much more from PC to iPhone. This is the most simple process that will successfully transfer files from PC to iPhone quickly. iPhone Manage tool supports Windows, Mac operating system to transfer files from PC to iPhone. iPhone Manage also supports MAC, but currently, it supports transferring photos, music and videos that work greatly. This program fully supports iPhone 5, iPhone 4S, iPhone 4, and iPhone 3GS running in iOS 5 or iOS 6. Step 1: Firstly, download iPhone Manage tool on your PC or Laptop from the links given above. Step 2: Install and run the tool on your device. Now, connect your iPhone with your PC via the USB cable. Step 3: This file transfer tool will automatically detect your iPhone and display it on the window. Step 4: In the window, you can see various categories like Media, Playlist, Photos, Contacts, and more. Once you click on Media, you will be able to see all the songs, movies, TV shows, Music Videos, Podcasts, iTunes U, and AudioBooks. Step 5: Choose the category from which you wish to transfer the files from PC to iPhone. Then, click Add to find files on your PC and click Open to add them to your iPhone. Step 6: Here, you can check out the process for transferring a music file from PC to iPhone. Step 7: Click “Media” on the left side of the window. Just click “Music Videos” at the top of the window. Step 8: Now, Click Add to choose “Add Folder” or Add File. Locate music video folder or files and click “Open”. Syncios Data Transfer is an awesome tool that assists you to transfer data from PC to iPhone. Using this tool, you will be able to transfer data that include videos, music, contacts, messages, or other files. This tool is fully packed with features that are designed to make managing your iPhone, iPhone 4S, iPhone 5, iPhone 5S, iPhone 5C, iPhone 6 (Plus), iPhone 6S (Plus) as simplistic as possible. Step 1: Firstly, download and install Syncios PC to iPhone Transfer on your computer. Note: Make sure that iTunes is pre-installed on your PC for running this free Syncios PC to iPhone Transfer correctly. However, you need not run this iTunes. Step 2: Connect your iPhone to PC using USB cable and launch Syncios PC to iPhone Transfer. Step 3: On the left panel of Syncios PC to iPhone Transfer, open Apps tab where you will find three options such as Install, Uninstall, Backup. It is used to support installing local apps in *.IPA format. Step 4: You can also transfer music files from PC to iPhone. Move on to the left panel of Syncios PC to iPhone Transfer. Just unfold Media tab and click on Music which is on the right panel. Step 5: There, you will find options like Import, Export, Remove, New Playlist, which enables you to transfer music files from PC to iPhone easily and quickly. There are many ways to transfer files or data from PC to iPhone. Till now, I have given two methods for this process. Here is the other method wherein you can transfer data from PC to iPhone over Wi-Fi. To transfer files over wifi, you will need to have a wireless router and then connect all your devices to the wireless network created by the router. Wi-Fi Transfer is an amazing app for iOS devices that lets you transfer files from PC to iPhone via Wi-Fi. Step 1: Initially, connect your PC to the wireless router. Simply tap on Settings on your iPhone >> Go to Wi-Fi >> Connect to your Wi-Fi network. Step 2: Download Wi-Fi Transfer tool on your PC. Install and Launch the tool on your device. Step 3: Open the Wi-Fi Transfer app and in the bottom left corner you’ll see an option. Upon tapping on that option, you will then get two URLs which can be used to link your PCand iOS device. Step 4: As it is a local Wi-Fi transfer tool, file transfer addresses will only operate locally. Also, the transfer will take place from PC to iPhone within your local network. 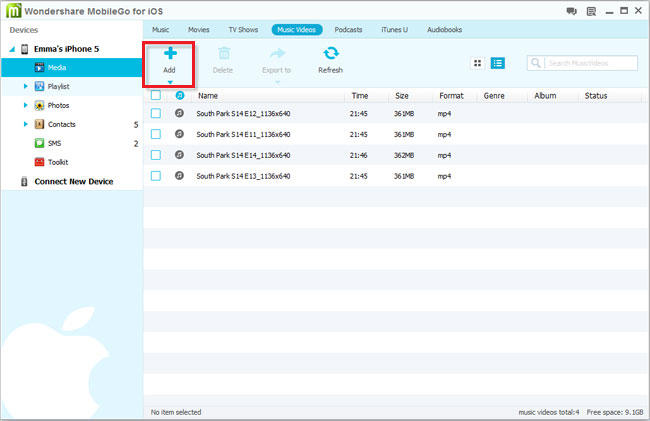 Step 5: You can now view a dashboard of Wi-Fi Transfer from which you can send files to other iOS devices. Step 6: Now you can start sending the files to iPhone via Wi-Fi. Just open any album to transfer files from PC to iPhone. That’s it. This is the simple process that help you in transferring data from PC to iPhone. These are the three simple methods to transfer music, videos, photos and other files from PC to iPhone. Hope this article helps you in the best way to transfer your most important data from PC to iPhone. Further, if you’ve any queries regarding this, let us know by making a comment below we’ll help you in sorting it out your issue.